Napoleon member, Tamsen Wojtanowski, has been included in the Humble Arts Foundation’s Group Show 45: New Jack City. group show 45: New Jack City explores one of the most common challenges we often hear when speaking with photographers living and working in urban environments, which is the ability to make insightful, visually arresting work that “hasn’t been done before.” It’s one of the oldest clichés and barriers to inspiration. While this is likely true to any environment or artistic tradition, cities as subject matter — either because of their tourist appeal, or natural magnetism to artists and photographers — have become increasingly tricky. Using this understanding as a launch point, we invited photographers to submit work that addressed a range of approaches to the urban environment with hopes that it might not only free them from the fear of the faux-pas, but potentially surface some unexpected angles on capturing contemporary city life. See more of what HAFNY has to offer and the entirety of the show, here. 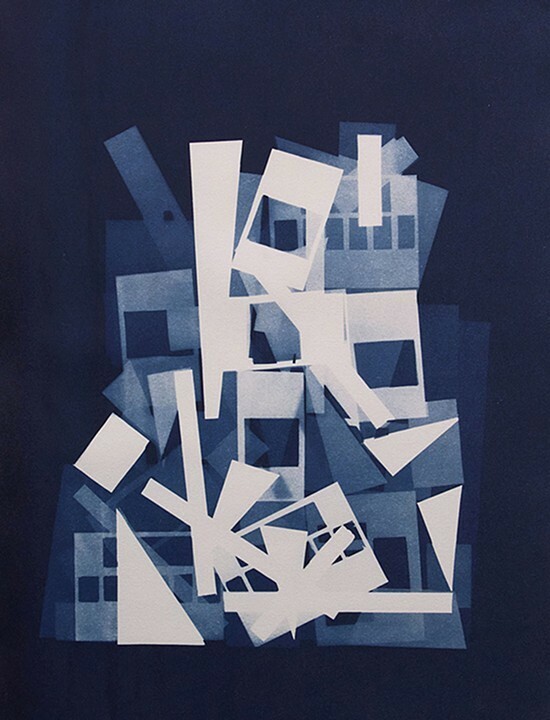 And more of Tamsen’s series of cyanotype images, Salvage/d, here.